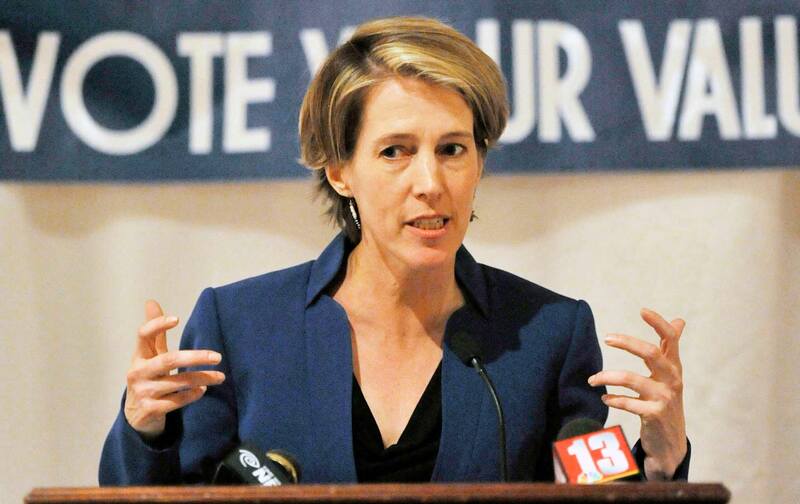 Can the Working Families Party Break the Dem-GOP Duopoly? Its lawsuit in Pennsylvania just might allow the spread of “fusion” voting, which used to be the norm in American elections. Buried in the inscrutable tangle of Pennsylvania’s election code, nested several layers deep in a technical subsection, and totaling all of six lines is a clause that dissolves the power of minor parties in the state. Although it amounts to an administrative rule—it’s one of several requirements for submitting a valid filing paper—it’s a fingerprint of the national party realignment that occurred at the end of the 19th century, a fight that eventually calcified the two-party system as we know it today. A record number of people say that neither major party represents them—42 percent, the highest in 25 years. As it stands, while voters can officially choose any party, the only options commonly considered “legitimate” are Democrat or Republican. But a record number of people insist that neither option represents them—42 percent, the highest Gallup has seen in 25 years. Because of that, some people just don’t vote, while others, like 26-year-old Virginian Nathan Mowery, are voting for a third party to register their frustration with the two-party system. “I’m casting a protest vote because it makes it visible to major parties that there are people who are motivated to vote but are unwilling to vote for either of them,” he told The New York Times. In the current party system, those votes are considered “wasted.” Fusion provides a legitimate channel for people like Mowery: You can vote for the party that champions your values, and, when aggregated with those of the major party they’re fused with, that vote could have a significant impact. Issues that the major parties have glossed over or ignored completely often find a home in minor parties. The Working Families Party, for example, has for years been fighting for paid sick days, free universal preschool, and untangling the racist, gerrymandered districts that have put a stranglehold on state legislatures—and it has done so without the kind of corporate oversight that turns people away from the Democratic Party. For people who want these issues at the forefront, said Jordan Yeager, one of the lawyers on the Pennsylvania case, fusion makes their voices heard. “I believe that the more voices we have in the political system the better.” —Jordan Yeager, lawyer in WFP case. Chris Rabb helped launch the lawsuit by filing as a candidate in Philadelphia for the Pennsylvania House of Representatives on the slates of both the Democratic Party and the Working Families Party. He argues that if a minor party’s contribution to a fusion election is significant—as was the case with the election of Connecticut Governor Dan Malloy in 2010, who eked out a narrow victory over his Republican opponent with 26,308 additional WFP votes—then it sets up an expectation that the winner will address the issues important to the bloc of voters he or she benefited from. The Working Families Party’s fight for fusion voting goes back to the 1990s, when its predecessor, the New Party, launched a similar push on different constitutional grounds. It filed independent lawsuits asserting that anti-fusion laws violated the First Amendment. Though one of those cases made it to the Supreme Court, it failed, which led to the New Party’s dissolution and reconfiguration in 1998 as the Working Families Party in New York. Since then, the WFP has played a significant role in electing New York City Mayor Bill de Blasio and other progressive candidates in New York, Connecticut, and the six other states where fusion voting is legal. According to Joel Rogers, one of the architects of the New Party and director of the current Pennsylvania litigation strategy, he and New Party co-founder Danny Cantor agreed that, after 20 years, it was time to reboot the effort. But that’s if the lawsuit is struck down by the state supreme court. Currently, the case is stalled in a lower court, pending a hearing in December that would decide its fate. Regardless, said Joe Dinkin, national communications director for the WFP, the plan is to mimic what they’re doing in Pennsylvania in other states, working to find where there are opportunities to dash the anti-fusion codes from the law books, just as they were implemented at the turn of the last century. Meanwhile, the party will continue the grassroots organizing that makes up the majority of its work, fighting for affordable housing, campaign-finance reform, “banning the box” (the campaign to get employers to remove from job applications the check box that asks applicants if they have a criminal record), and other initiatives. But a fusion success in Pennsylvania—which has an entrenched party machine and districts warped by gerrymandering—would help the party understand how to overcome similar state obstacles in the future, said Brandon Evans, Pennsylvania state director of the WFP. Minor parties made a significant showing in the mid-19th century, in a diverse and competitive political landscape. Before the end of the 19th century, electoral fusion had been so widespread and popular that, in regions like the Midwest, joint candidates appeared in every election. It was a successful strategy for the Democratic Party in particular, which joined forces with minor parties like the Populist and Labor parties to retain an edge over Republicans. Because of fusion, major and minor parties could forge a mutually beneficial relationship: Major parties received the additional votes funneled from the minor parties, which were very frequently a deciding factor in elections; in return, minor parties had a say in the selection of the joint candidate, and their particular demands became a substantial part of the political conversation. As a result, American parties in the mid-19th century navigated a diverse and competitive political landscape, and minor parties made a significant showing: In 1892, a year before the first anti-fusion clause was introduced, neither major party captured the majority of the popular vote in three-fourths of the states in the presidential as well as in gubernatorial elections. One by one, states began inserting anti-fusion language into their election codes, which in many cases (like Pennsylvania) was simply a requirement that candidates’ filing papers include a written statement swearing they were running under only one party. By the first years of the 20th century, half the states did not allow fusion. Currently, it’s illegal in all but seven states, in addition to New York: South Carolina, Connecticut, Oregon, Vermont, Mississippi, Idaho, and Delaware. Some experts have attributed the rigid two-party system we have today to the Republicans’ success. Minor parties, without the power they were granted with fusion, withered into disuse, if not irrelevance—the place where votes go to die. And while fusion could conceivably fix this, said Steve Masters, the other lawyer working on the WFP’s Pennsylvania case, the idea of fusion doesn’t occur to most voters as an option. The Working Families Party, in their fight for fusion, is thinking in practical terms for the future. The presidential election has left people at once discontented and, in the case of Bernie Sanders supporters, mobilized without any clear direction. What role will Our Revolution have in the future political landscape? Elizabeth Warren, Bernie Sanders, and even Noam Chomsky have agreed that this is the case. The Working Families Party seeks to complicate this, starting with Pennsylvania and working out from there. The future, Rogers said, isn’t certain, but he and the rest of the party hope that the institutional change they’re vying for will nudge it in a better direction.